Yesterday's 100+mile tornado across Mississippi and into southern Tennessee goes into this list. 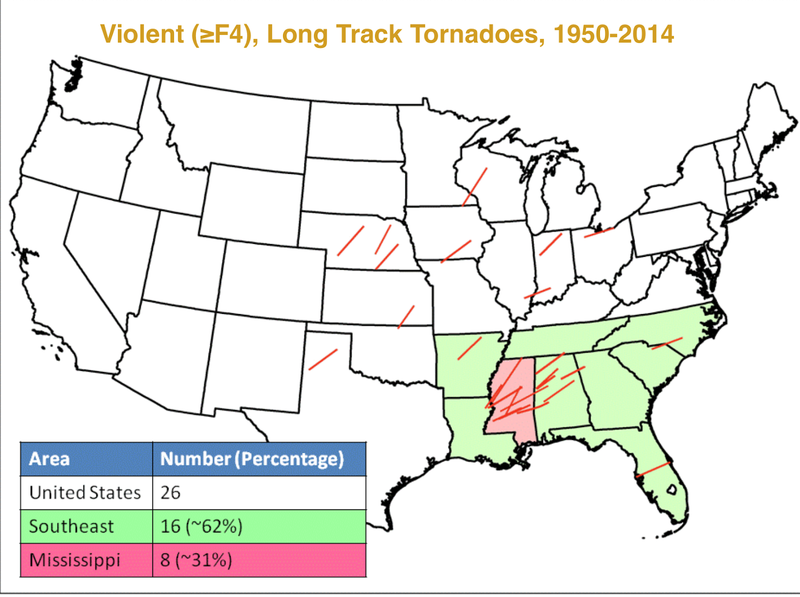 I can't think of a reason why Mississippi has so many long-track tornadoes but they certainly do. The map only goes back to 1950 because we do not have consistent data before that time.